Asphalt shingles are the most popular roofing material for homes, largely because they are relatively inexpensive, are durable, and come in a wide variety of styles, colors, and textures. Here at Sorensen Roofing & Exteriors, G.C., we carry three-tab shingles and architectural shingles from leading manufacturers to give your home a long-lasting, beautiful finish. To get the longest life out of your asphalt roof, proper installation, maintenance, and roof repair is necessary. 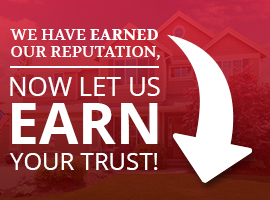 That’s why it’s important to choose an experienced, professional contractor you can trust. We are your local asphalt roofing expert serving Greeley, Fort Collins, Arvada, Littleton, Denver, Colorado Springs, and Aurora. Versatile & affordable roofing. Four out of five homes have an asphalt shingle roof. With a wide array of styles, asphalt shingles can achieve almost any desired look – affordably. Call us at 1-844-207-0202 or click below to schedule your roof inspection and get a no-cost, no-obligation roofing estimate. Low maintenance – When installed properly, asphalt shingles require little maintenance and can be easily repaired if damaged. Affordability – The low material cost and long life expectancy of asphalt shingles provide unmatched value. Versatility – Asphalt shingles are available in an array of styles and colors to match any home. Durable Protection – Most asphalt fiberglass shingles have a Class A fire rating and excellent wind resistance. Whether you’re looking for an inexpensive roofing material or stylish, high-performance shingles, we offer asphalt shingles to meet your style preference and budget. 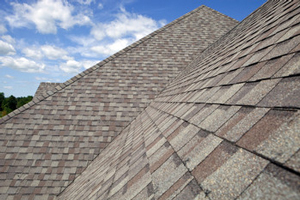 Asphalt shingles are available in two varieties: fiberglass (or composition) and organic. Composite shingles are made of a fiberglass base mat with a waterproof asphalt coating that protects against weather damage. The traditional 3-tab asphalt shingle has been around a long time and is the most common roof covering. Architectural, or dimensional, shingles provide value and strength in a genuine wood-shake look. Many manufacturers have adopted energy-saving technology to reduce the amount of heat absorbed by your roof. We install ENERGY STAR-rated cool roof shingles designed to reflect the sun’s rays, reduce the temperature of your roof, and help lower your energy costs. Our trained and experienced roofers make sure that each shingle is nailed down properly to prevent blow-offs and roof leaks. In addition to asphalt shingle installation and repair, we also carry a wide variety of roofing materials and can handle all types of roof repair, new roof installation, and re-roofing jobs. Contact us today for a free estimate for the roofing services you need. We proudly serve Broomfield, Fort Collins, Englewood, Boulder, Longmont, and nearby towns and cities.